One of the most common bags, mainly because of its unisex casual look and spacious main compartment, is the messenger bag. 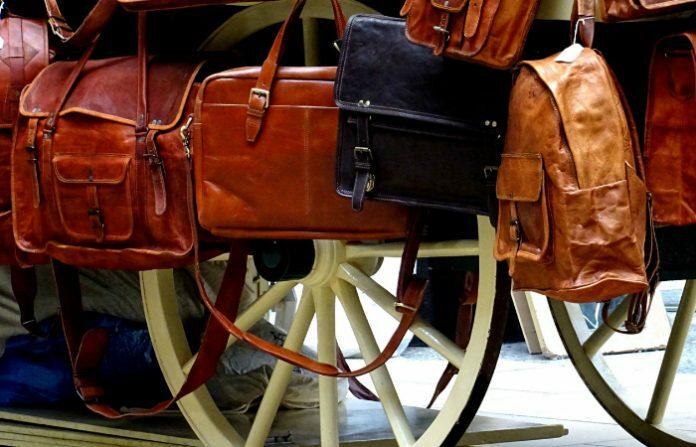 Also known as a courier bag, it is usually made of cloth with just one strap. That single shoulder strap is typically worn across the chest to securely hang the bag on the opposite side. Historically, messenger bags were only used by couriers. However, nowadays, they are known as a functional addition to urban fashion. If you are looking for a new one to complete your daily urban wear, we are here to give you the best messenger bag in today’s market based on careful research and product testing. 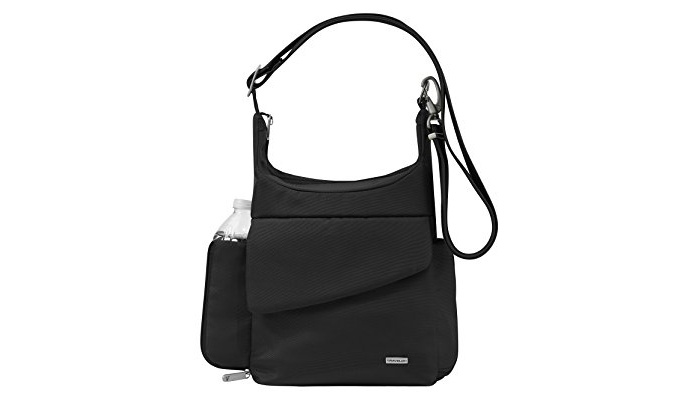 Travelon Anti-Theft Classic Messenger Bag has a spacious compartment with several pockets for easier organization. 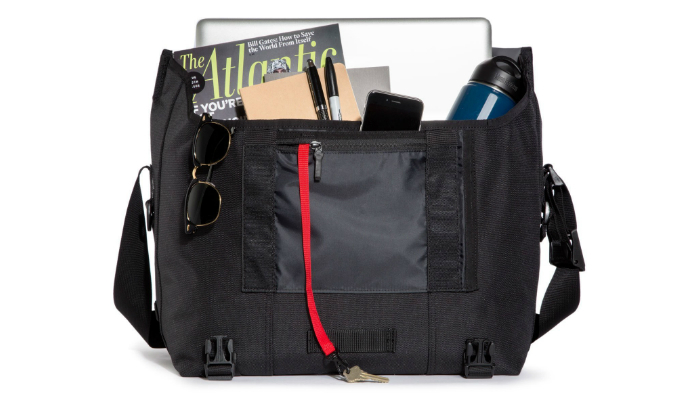 Speaking of organization, this messenger bag has a zippered organizer complete with a loop for writing pens, wall pocket, slots for cards and a passport, and a special RFID blocking feature. Regarding anti-theft features, the shoulder strap is attached to the bag through strong lobster claw clasps. More importantly, the adjustable cable-reinforced strap and the mesh body panels make this product resistant to cuts or slashing. 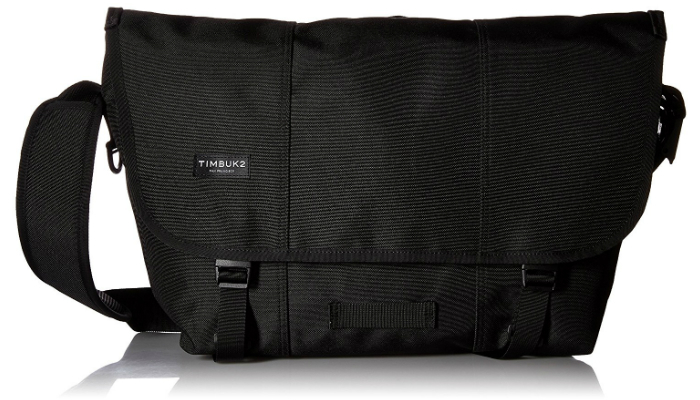 Timbuk2 Classic Messenger Bag has an organizer inside that focuses on securing small items, especially iPhones or android phones as well as keys. It also has a special internal pocket for one water bottle. Its strap has a very comfy pad made of air mesh to cushion your shoulder. Meanwhile, the flap buckles are partially hidden for fashion purposes. They are also extremely secure as they work with bottom compression straps. This messenger bag is amazingly waterproof, thanks to its high-quality TPU liner and well-designed corners. 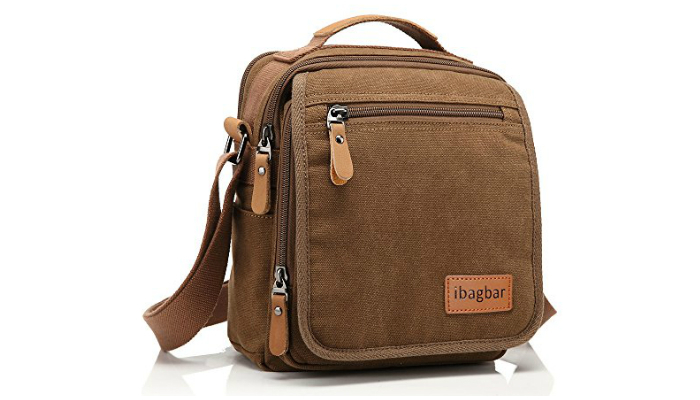 ibagbar Small Canvas Shoulder Work Satchel Casual Messenger Bag is composed of luxurious cotton canvas and genuine leather zippers. It may be smaller than other products, but this one can still fit a 10-inch eBook reader, iPad or android tablet with enough room for your other small essentials. To be more specific when it comes to storing small items, this messenger bag has nine pockets, eight card slots, one pen slot, and a unique section where you can hang your keys inside. In case you want to free your shoulder from the bag’s weight sometimes, this product has a durable top handle. Overall, it really looks sophisticated and ready for compliments. Sweetbriar Classic Vintage Canvas Shoulder All-Purpose Messenger Bag includes big side pockets so you can carry more than one water bottle. 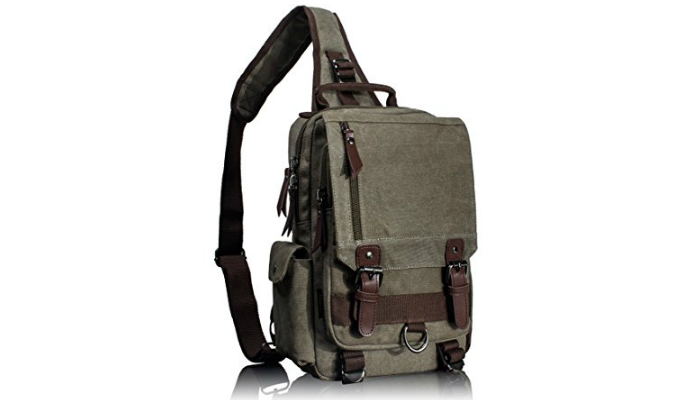 It has a retro military/army pack style, perfect for simple travelers and college students. It is only 1.2 lbs. to stay lightweight even with a 15.6-inch laptop inside. Its pure cotton canvas material and metal accents are all durable. Kenneth Cole Reaction “Risky Business” Colombian Leather Flapover Cross Body Messenger Bag will always look stylish even with stains and abrasion, thanks to its leather material with a natural distressed look. So, it is best for people who are always on the go. Leaper Cross Body Shoulder Backpack Travel Rucksack Sling Messenger Bag is made of tough washed canvas but still soft to touch. It can totally secure a laptop even without a sleeve. It has a practical size that can fit a laptop, magazine, phone, wallet and snacks with enough room for more small items. You may wear it as a cross-body bag or a regular shoulder bag. Since messenger bags are known for their distinct strap design, you need to inspect the quality of the shoulder strap first. Make sure the strap has a shoulder pad somewhere in the middle to avoid physical strain or pain. Are you going to use the bag for running, biking or walking? Then, check how adjustable the strap is. How loose or tight can it be? Next, evaluate the strap’s convenience. Can you adjust it while you are on the move? Is it adjustable with just one hand? Meanwhile, some messenger bags have more than one strap. The additional one is called the stabilizer. It is basically wrapped around the chest, waist or hips. It prevents the bag from swinging when you are biking or running. 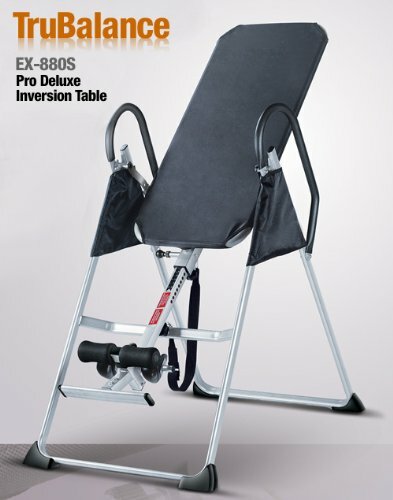 The stabilizing strap also balances the distribution of weight to reduce pressure on the shoulder. Small items easily get lost in big compartments. So, choose a messenger bag that has enough pockets for your tiny essentials. The most common place on a messenger bag where you can store your small things is the flap pocket. It is the most accessible after all. It is ideal for your keys. Meanwhile, back pockets are ideal for important papers since they hide well from raindrops. They are also best for hiding your money. Inside, expect pockets as well for organizing coins, makeup, pens, and cards. Another distinct feature of messenger bags is their flap that closes the main compartment. This stems from the fact that a lot of messenger bags have open compartments due to the absence of zippers. It turns out that zippers can limit the bag’s packing capacity. However, in order for a flap to be effective, it should have a secure closure system. Two common types of closure are plastic buckles and Velcro strips. Both of them are fast and easy to use. Obviously, each of them has disadvantages. Velcro flaps are less durable than the type using plastic buckles. They can be very distracting to open as well. Why? They tend to make an annoying, screechy sound. But, if you are really particular about having Velcro closure, choose messenger bags with Velcro silencer strips. You may also learn some DIY tips so you can make one yourself. Meanwhile, plastic buckles are kind of tricky to open single-handedly. So, if you are in a hurry and you need to get something from your messenger bag, you might have to stand still for a while and open the buckles. Another drawback is how fragile plastic buckles are when exposed to a sharp blade. Buckles are only connected by straps, and most straps are so easy to slash or cut. 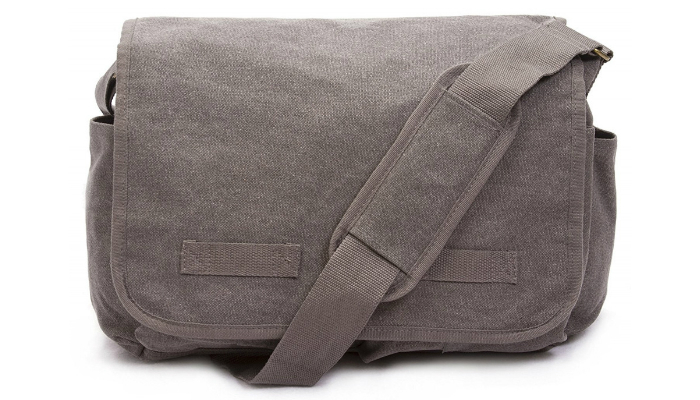 Some people are buying messenger bags so they can have a bigger, softer and more stylish laptop bag. 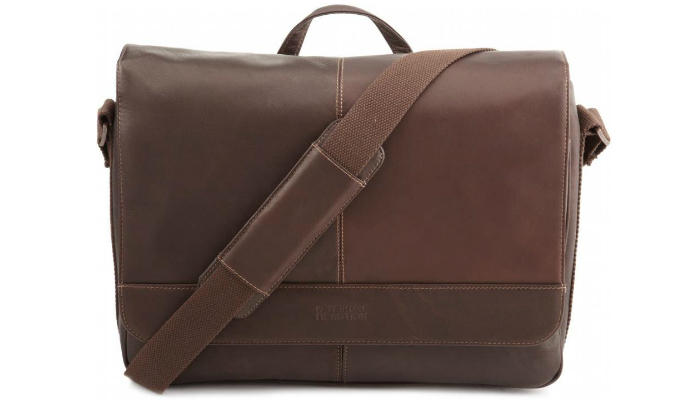 However, the messenger bag should have a special compartment for the laptop. The laptop compartment should have thick padding for protection against impact. Rain can be very unpredictable, so better choose a waterproof or water-resistant messenger bag. To make waterproof materials even more effective, ensure that the flap is tight and wide enough when closed to perfectly cover the items inside the bag. If you are out on the road running or cycling without the presence of sunlight, you should be more serious when it comes to your safety. A way to guarantee that vehicles will be able to see you in the dark or low light is by wearing a messenger bag with reflective material. Bags with reflective strips may look tacky, but safety is definitely more important than style. We selected Travelon Anti-Theft Classic Messenger Bag as the best messenger bag for most people because of its innovative anti-theft features. Meanwhile, in choosing the best messenger bag that fits well for your daily activities, simply consider the product’s strap, pockets, closure, laptop compartment, water resistance, and visibility in low light.